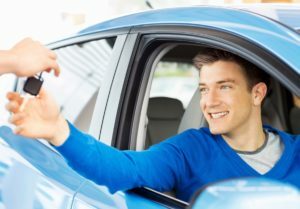 It appeared as if no matter what type of car you drove, there was something potentially wrong or dangerous where the car had to be taken back to a dealer for repairs. For those who need a recap, General Motors had a particularly challenging year. Between the ignition switch recall that affected millions, and the subsequent investigation that revealed that it did not move with particular fervor in correcting the defect, GM had to pay a record fine to the federal government. The ignition switch debacle led GM to create a new executive position to deal with potential defects and the notification process that would follow. Also, automakers had to deal with the potential for airbags to hazardous for drivers and passengers. Essentially, the canister that houses the airbag could explode when the airbag inflates, which would send shrapnel like pieces of metal into drivers and passengers in the front seat. The defect was found to be the culprit in a number of accidents. Even more concerning, federal regulators believe that there will be even more recalls in 2015. This may be due to the electronic safety enhancements touted in many new models. Regardless of whether this dire prediction comes true, one thing remains clear. Automakers have a continuing duty to inform consumers of defects that could put them in harm’s way, and to take appropriate steps to correct them.